Hyderabad, 15thMarch, 2017: Following a successful run in 4 cities across India, the VIVOIPL trophy gripped the people of Hyderabad in excitement when it reached its fifth destination, Forum mall on 15th March, 2017. The fans were excited to see the trophy their team will be competing for during the tournament. 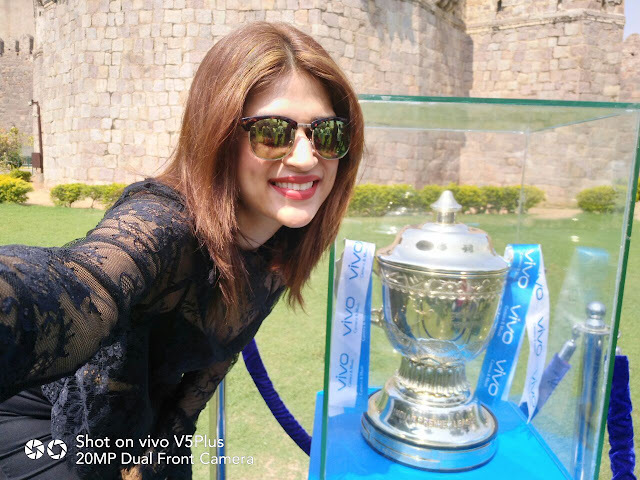 The devotees of the sport in Hyderabad got a chance to capture themselves in a special moment with the Vivo IPL trophy. 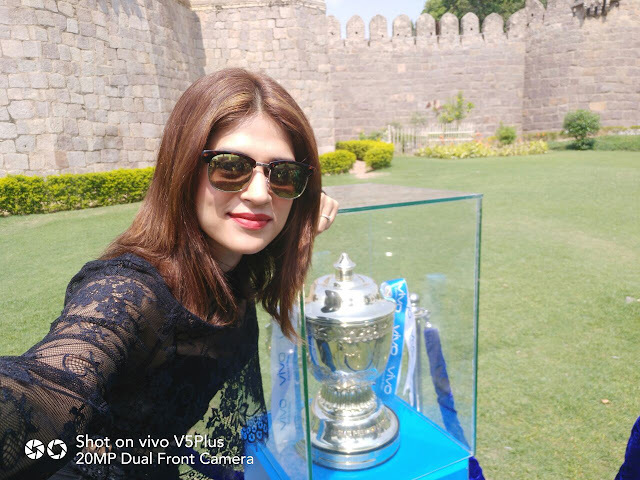 Actress Shraddha Das added excitement amongst the crowd when the trophy made a stopover at Golconda Fort and selfie enthusiasts got a chance to capture perfect selfies with the VIVOIPL trophy. Around 3500 enthusiastic fans enjoyed the sight of the coveted VIVOIPL trophy and engaged themselves in various exciting activities. The trophy is now heading towards the ancient city of Bhubaneswar. The premium global Smartphone manufacturer, Vivo entered India in the late 2014. In a short span, Vivo India has become an established Camera & Music brand. Vivo India currently has its presence in more than 400 cities in 22 states, with a strong focus on Camera & Music. Vivo is one of the fastest growing companies in India and one of the top 10 Smartphone brands in the world.